Just finished reading Life 3.0 and I can say it does deserve being put on a mandatory reading list for anyone working in AI field. This is not a popular science book, but a great summary of the current thinking about the AI technology, its implications and potential scenarios for the future of our species. Tegmark is doing an excellent job in clarifying the terms and dispelling common myths surrounding the AI. While there is a fair bit of futurology in the book, it also lists a number of near-term issues that we need to start thinking about. This is by far the most balanced book on the subject that I have read. 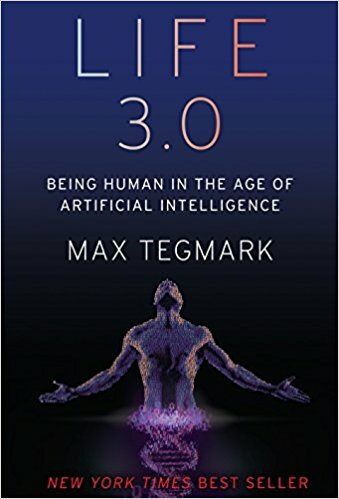 The debate on whether regulation of AI is a) needed and b) timely is still ongoing, and Tegmark’s book is providing a solid foundation to build on. Whether this discussion is timely – is a great question. One thing is certain, it’s better to have it early than late. When Henri Becquerel and Marie and Pierre Curie discovered radioactivity in the end of the 19th century – was it premature to discuss Nuclear Nonproliferation Treaty? Probably yes, as it took another 50 years to develop the first nuclear bomb. It is very important to start this conversation now. The book is filled with mistakes – both spelling (like Koviposti instead of Kaivopuisto, Alvar Alto instead of Alvar Aalto, Esplandi instead of Esplanadi, Mannerheim Katu instead of Mannerheimintie, etc.) and factual (like ‘coastal town of Lohja’, while in fact Lohja is about 30km from the coast, Swedish imperial design of government buildings in Helsinki, while in fact Helsinki became a capital only in 1812 and government buildings there were commissioned by Russia, mixups of the main cathedrals in Helsinki – the red Orthodox and white Lutheran ones, etc.). 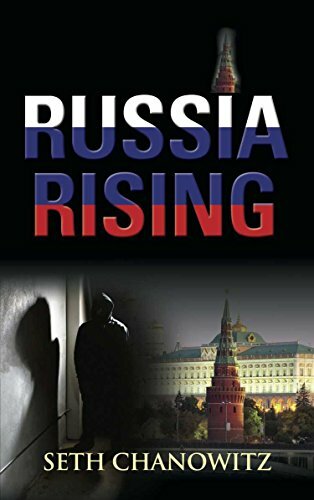 The author claims to be a US intelligence analyst who lived in Finland for a long time and speaks Finnish, which makes the mistakes even more embarrassing. The writing itself is extraordinarily bad, starting from the flat characters to a very dry and mechanical description of events. At times I even thought that this is a well-trained generative neural network that synthesized the book. Unfortunately a very poor execution completely ruins an otherwise entertaining plot of the story. Anu Partanen is a Finnish journalist now living and working in the United States. In her new book “The Nordic Theory of Everything. 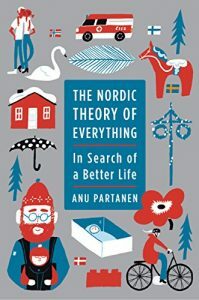 In Search of a Better Life” she compares how Nordic/Finnish and American societies address key issues such as healthcare, education, parental leaves, unemployment. This books hits close to home. I’m a naturalized Finnish citizen, and spent most of my adult life in Finland and Norway before relocating with family to California. tl;dr; The book is a nuanced, well-argumented critical analysis of the strengths and weaknesses of American and Nordic societies. It debunks the myths that affordable universal healthcare, free quality education, improvement of women’s participation in economic life by providing affordable daycare and paid parental leaves can only be achieved in “nanny states” that discourage individuality. The Nordic countries demonstrate that building strong public services can create economic growth, and that pooling the risks everyone faces in life – sickness, unemployment, old age, the need to be educated to secure a decent living – into one system funded by everyone is more efficient, and more effective, than each person saving individually to ensure security and survive misfortune, especially in today’s age of global economic uncertainty and competition. Should you buy a book on a new technology or just read technology provider’s guidelines, instructions and recommendations? 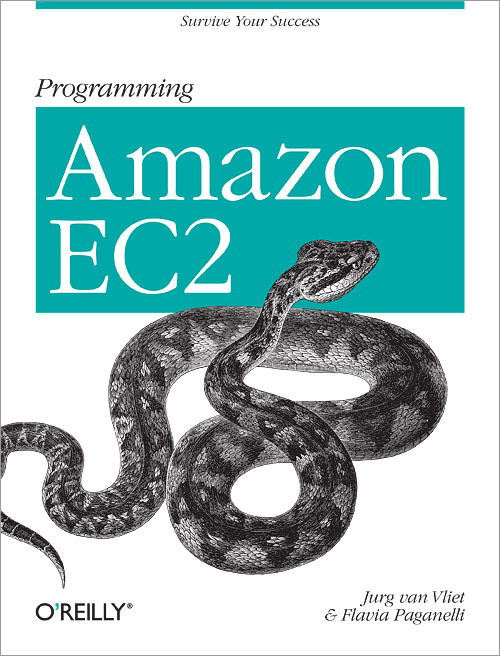 This book was released over a year ago, so naturally it doesn’t cover all the latest developments that happened on Amazon AWS platform. For example Simple Email Service (SES) and Dynamo DB are not mentioned at all. After a short historical introduction to the philosophy of the Amazon platform authors proceed to basics of the EC2 instance management (using Ubuntu as example) and describe how several real life web applications benefited from migration to Amazon infrastructure. High level architecture descriptions help to understand how all pieces of the Amazon platform come together – ELB, EC2, RDS, S3, SQS, SNS, etc. Examples are provided in PHP, Ruby and Java. Don’t expect any secret knowledge to be revealed in this book. A lot of intricate details and answers to the questions that you will face when planning a migration to AWS or designing architecture for a new web application are left out of this book. At the same time the book gives a fairly good overview of how to make your application to be scaleble and highly available on AWS and can serve as a good starting point in your AWS journey. Some of the recommendations and descriptions given in the book are outright sloppy. A couple of examples: the book recommends “You can choose an availability zone, but that doesn’t matter very much because network latency between zones is comparable to that within a zone“. But tests indicate that Cross Availability Zones latency can be 6 times higher than inner zone latency. For a network intensive application, better keep your instances crowded in the same zone. Another example where you might want to go run your own tests before making a decision or look for another opinion “A disk is always slower than memory. If you run your own MySQL using local disks, that’s slow as well. But using disk-based operations in RDS is just horrible. Minimizing disk usage means implementing proper indexes, something you always want to do.” A very strong yet vague statement on RDS performance, where I’d really love to see a comparison in performance of MySQL installation on EC2+EBS vs. RDS and a list of what kind of MySQL fine-tuning will and will not work on RDS. Another annoying bit about the book is that authors keep promoting their commercial Android client for AWS monitoring throughout all chapters. As I see it – if there are ads, the book should be free. Bottom line: I see only two reasons why you might want to buy and read this book – learning about the history of AWS and learning how five selected web services designed their architecture when migrating to AWS. 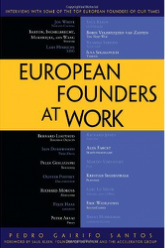 A book by Pedro Santos follows the format of Jessica Livingstone’s “Founders at Work”, offering a series of interviews with the founders of European start-ups. Entrepreneurs, such as Illya Segalovich (co-founder of Yandex), Loic LeMeur (founder of Seesmic and LeWeb), Peter Arvai (co-founder of Prezi) and many others (see full list on the book’s website: www.europeanfoundersatwork.com) tell about how they started, built, pivoted and drove their businesses to success. The book gives a unique first-hand perspective on how to grow a successful business from Europe, what is the importance of US market, what are the challenges European start-ups are facing and what are the competitive advantages of being in Europe. It is an inspiring book, and it is very relevant to European entrepreneurs. While stories of US start-ups quite often start with “we got $N mln in funding and started growing from there”, in Europe it’s more about bootstrapping and building a profit-generating machine. I would definitely recommend it to anyone who is thinking of starting a technology company in Europe or is already running one. I’m conflicted about recommending this book. On one hand – it’s 4 hours of your time that can be spent on better. 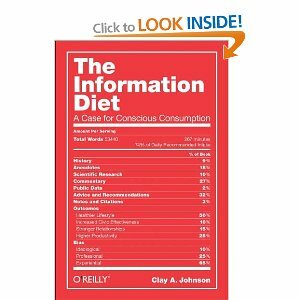 On the other hand – it made me reconsider my own information diet and I see how I can now do more in a day because of that. So next time when you want to open IM, GMail, Twitter or Facebook, consider reading this book instead. Update: after months trying to follow the recommendations of this book – I have noticed that I have significantly improved my productivity. Topic of responsible information consumption also came up many times in conversations I had with many smart people in the past few months. 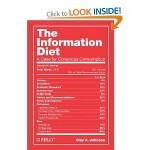 There’s definitely a tectonic shift going on when it comes to information consumption habits. Last time I was flying, I picked up a very good book in the airport book shop – "From Finland with Love" by Roman Schatz. The book is an absolutely brilliant, witty and fun to read collection of satirical columns about Finland. Mr.Schatz is a German-born writer who has been living in Finland for 20 years and has a unique insight into Finland that he so generously shares with the reader. It is simply a must read for all foreigners living in Finland. Read a very interesting article in Wednesday’s FT – "Not to celebrate Nabokov is a tragedy" by Nina Khrushcheva. Even if you’re not into russian literature – it is definitely a good read. Nina is a great-granddaughter of Soviet leader Nikita Khrushchev. She also has a number of other interesting articles on Project Syndicate (translated into several languages). A few weeks ago we have finally move to our new house in Espoo. Now I commute to work by bus. 20 minutes of free time every morning and every evening – this is what I have missed living 5 minutes away from the office in Helsinki. Commuting gives a perfect opportunity to read. Laast three books that I’ve read – Tony Parsons, The Family Way; Khaled Hosseini, The Kite Runner; Lars Saabye Christensen, The Half Brother. The latter one I bought over a year ago in Oslo airport on my way back home. Started reading it a few times but put it back on a shelf. It is a slow starter, but it is absolutely worth reading. It is probably one of the best books I’ve read in the past few years.